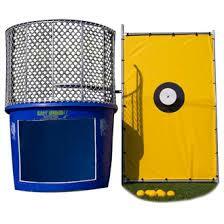 DUNK TANKS :: DUNK TANK - The Outhouse Party Store Online | Candy, Chocolate, Rentals, Holidays, and More! THIS DUNK TANK COMES WITH A WINDOW FOR EXTRA FUN!! !